istheholocaustreal.com exposed -- "Why Didn't Any Nazi Deny" and the scope of the "conspiracy"
Why Didn't Any Nazi Deny the Holocaust? If the Holocaust wasn’t real, why is it that no Nazi has ever denied it? Not one. Nada. Zip. Deniers love to argue that the Allies tortured Nazis into confessing their participation in The Holocaust. That means that all these people went to trial (and many to execution) without once shouting “It’s a LIE!!! !” The hundreds and thousands of Nazi troops captured were also kept silent. A successful conspiracy to keep 30+ leaders, all on trial for their lives, from arguing “we didn’t do it!” A successful conspiracy to silence thousands of captured Nazi troops. Article 19 of the Nuremberg Charter wrote: The Tribunal shall not be bound by technical rules of evidence... and shall admit any evidence which it deems to have probative value. Article 21 of the Nuremberg Charter wrote: The Tribunal shall not require proof of facts of common knowledge but shall take judicial notice thereof. It shall also take judicial notice of official governmental documents and reports of the United [Allied] Nations, including acts and documents of the committees set up in the various allied countries for the investigation of war crimes, and the records and findings of military and other Tribunals of any of the United [Allied] Nations. Given this acceptance of 'evidence' where no proof was ever established, it is clear there were few options for anyone accused, as what they were accused of was already accepted as fact. Any 'document' or accusation presented by any of the Allied nations was accepted, without proof, as fact. Most probably did not deny the gas chambers because it was impossible to prove that they didn't exist, especially when it was "common knowledge" and the prosection did "not require proof" -- at best, they defense could claim that they had no knowledge of them, but one can't really prove a negative. Remember: The attempted extermination of all jews was assumed to be true, so the defendants could only hope to absolve themselves of being at fault in that regard. The Holocaust directly involved millions of people. Millions. Soldiers, prisoners, and observers of all kinds saw the concentration camps, the gas chambers, and the ovens. To successfully fake the Shoah, all of those people would have to keep their mouths shut. What is being alleged here is a conspiracy theory, in which "The Germans executed a secret plan to exterminate every Jew they could, and managed to murder 6 million of them with gas chambers and by shooting them into large pits." According to Nuremberg Judge Powers, the "Holocaust" had been perpetrated with the greatest level of secrecy, and very few knew it was even happening: "not over 100 people in all were informed" about the attempted extermination, he claimed. In fact, many of the Nazis stated that post-war reports (or the trials themselves) were the first instances where they had ever heard of an extermination of Jews, and had honestly believed that the "Final Solution" meant "resettlement" which was what every document mentioning the "Final Solution to the Jewish question" defined it. As with many other conspiracy theories, the lack of physical evidence and the scarcity of alleged eyewitness testimonies were seen as convincing proof that the Nazis had something to hide and that they had successfully managed to do it. I have heard of the allegations of former prisoners in Auschwitz referring to a gas chamber there, the mass executions and whippings, the cruelty of the guards employed, and that all this took place either in my presence or with my knowledge. All I can say to all this is that it is untrue from beginning to end. I must point out, that Kramer later claimed that "The gas chamber existed, there is no doubt about it" once he realized what the nature of the trial was. This is a perfect example of the standard strategy for the defense: the defendant "knew" but was not "responsible" for the gassing of Jews. Another famous example of this strategy is Adolf Eichmann. According to Holocaust believer Mark Roseman: "Eichmann, for his part, was at pains to establish a clear set of orders that absolved him of responsibility." "Adolf Eichmann spoke more openly, but his testimony is unreliable, particularly on his own aspirations, concerned as he was to portray himself as a dutiful errand boy, with neither initiation nor knowledge." As you can see, being tortured and having your family threatened can lead a person to say just about anything, even admitting to crimes that they never committed. Regardless, there were very large numbers of Nazis that did deny a mass extermination of Jews; "Holocaust" promoters simply cherry-pick the testimony they like and ignore any testimony that contradicts them. On the question of whether the SS members recognized the destruction of Jewry as an aim of the leaders, 1,593 out of 1,637 affidavits which mention this problem state that the Jewish problem was not to be solved by killing or the so-called "final solution," and that they had no knowledge of these intentions of the leaders. They point out that the SS members were forbidden to undertake individual acts against Jews. As evidence, numerous members refer to the fact that many death or other severe sentences were passed because of crimes against Jewish persons or Jewish property. April 1945: As Soviet-Allied atrocity propaganda about Nazi gas chambers grows bigger and bigger, Radio Berlin denies that Nazi Germany ever had any homicidal gas chamber in its concentration camps, and adds that the German gas chambers are "merely delousing devices" using poison gas only for "sanitary purposes." Q: Witness after witness, by testimony and affidavit, has said that the gas chamber killings were done on general or specific orders of Kaltenbrunner. Kaltenbrunner: Show me one of those men or any of those orders. It is utterly impossible. Q: Practically all of the orders came through Kaltenbrunner. On 7 February 1944 I succeeded in being received by Adolf Hitler personally--I might add that throughout the war he received me three times only. In the presence of Bormann I put the question to him: "My Fuhrer, rumors about the extermination of the Jews will not be silenced. They are heard everywhere. No one is allowed in anywhere. Once I paid a surprise visit to Auschwitz in order to see the camp, but I was told that there was an epidemic in the camp and my car was diverted before I got there. Tell me, My Fuhrer, is there anything in it?" The Fuhrer said, "You can very well imagine that there are executions going on of insurgents. Apart from that I do not know anything. Why don't you speak to Heinrich Himmler about it?" And I said, "Well, Himmler made a speech to us in Krakow and declared in front of all the people whom I had officially called to the meeting that these rumors about the systematic extermination of the Jews were false; the Jews were merely being brought to the East." Thereupon the Fuhrer said, "Then you must believe that." DR. LATERNSER: Do you know whether the higher military commanders at any time were informed of the intention of Hitler or Himmler to kill the Jews? DR. HORN: In connection with the testimony by General Lahousen, I want to ask you one question. At the time of the Polish campaign, was there a directive or an order by Hitler to exterminate the Jews in the Polish Ukraine? KEITEL: I cannot recall any such things. I know only that during the occupation of Poland – that is after the occupation – the problem of the Polish Jews played a part. In that connection I also put a question once to Hitler to which, I believe, he answered that that area was well suited for settling the Jews there. I do not know or remember anything else. DR. HAENSEL: You said in your interrogation that a decree of Heydrich’s caused you to have Jews transported from Holland. Did you see Hitler's decree to Heydrich? SEYSS-INQUART: I think so – a decree from Hitler to Heydrich alone would not have been for Heydrich. DR. HAENSEL: You picture the situation as if Heydrich had told you that he had this decree. SEYSS-INQUART: Yes, he told me that, and a few weeks later he sent me this decree. DR. HAENSEL: Was it in writing? SEYSS-INQUART: Yes, it was in writing. DR. HAENSEL: And what did the decree say? SEYSS-INQUART: That he had complete charge of the final solution of the Jewish question as well as other matters dealing therewith. DR. HAENSEL: And when was this? 1941? 1940? SEYSS-INQUART: It was at about the time when the evacuations started. That was in 1942. DR. HAENSEL: That must be wrong. It was 1941, not later. SEYSS-INQUART: Perhaps he showed me the decree later. I do not know the date of the decree. DR. HAENSEL: That must be the case. But this decree, you said, was conceived in general terms? SEYSS-INQUART: Yes, I had the impression that in the occupied territories Heydrich was to carry through the evacuation, and at that time I was not quite sure whether that was to be a final evacuation – which, however, was possible. The most extreme possibility was that the Jews would be collected in camps and after the end of the war settled somewhere. DR. HAENSEL: I beg your pardon, Witness, the most extreme possibility would certainly be that the Jews would be destroyed, is that not so? SEYSS-INQUART: I am speaking of the most extreme possibility which I thought of at the time. DR. HAENSEL: Before 1943 did you discuss these problems with Hitler? SEYSS-INQUART: I was merely present when Hitler talked about these problems. It was always along this line, to eliminate the Jews from the German population and to send them somewhere abroad. DR. HAENSEL: But there was no talk at all about destruction of the Jews? DR. THOMA: I have only one more question. Did you know anything regarding the fact that Hitler had decided to solve the Jewish question by the final solution, that is, by the annihilation of the Jews? DR. THOMA: But, Witness, please be quite brief. I am now putting this question to you: Did Himmler ever tell you that the final solution of the Jewish problem would take place through the extermination of the Jews? LAMMERS: That was never mentioned. He talked only about evacuation. DR. THOMA: He talked only about evacuation? LAMMERS: Yes, only about evacuation. DR. THOMA: When did you hear that these 5 million Jews had been exterminated? LAMMERS: I heard of that here a while ago. MAJOR JONES: Are you, as the head of the Reich Chancellery, the man who knew all the secrets of the Third Reich, saying to this Tribunal that you had no knowledge of the murder of millions and millions who were murdered under the Nazi regime? LAMMERS: I mean to say that I knew nothing about it until the moment of the collapse, that is, the end of April 1945 or the beginning of May, when I heard such reports from foreign broadcasting stations. I did not believe them at the time, and only later on I found further material here, in the newspapers. If we are speaking now of the elimination of a harmful influence that is far from meaning annihilation. The Führer did not say a word about murder; no mention was ever made of such a plan. Q. Witness, I must return to the killings of Jews. You stated that you had no knowledge of that. But I must nevertheless ask you, didn’t you at least hear rumors of such killings of Jews, and what did you undertake on hearing them? Q. In what then did the problem of the final solution consist so far as you understood that term at that time and I emphasize your understanding of the term at that time? A. The solution was to lie in the evacuation of full-blooded Jews, and secondly, a regulation of some sort concerning the privileged Jews and the half-Jews. Q. Witness, on the basis of the minutes of the three meetings of 20 January 1942, 6 March 1942, and 27 October 1942 put in by the prosecution, are you stilI of the opinion that no program for exterminating the Jews was ever set up and that, secondly, with regard to including half-Jews and privileged Jews in the evacuation or other measures, no program was set up? A. Yes. I am of that opinion. At least this program never came to my attention. The program cannot have been set up. Q. With reference to the problem of the treatment of the Jews I have one more question. These matters have been repeatedly discussed here. I would only like to hear your personal attitude. What did you know about the so-called Final Solution [Endloesung] of the Jewish Question? A. I cannot remember ever having heard the term at all before the collapse. At any rate I was not aware of any physical extermination as a solution of the Jewish question. Q. The prosecution naturally says that many people in Germany knew it and asks why you, as a minister, did not know it. Is it possible for you to explain that? A. Of course it could not remain hidden from me that in wartime Jews were evacuated from Germany. All the less since the property they left behind them was transferred to my financial authority for administration and evaluation. But as far as a plan, the execution of such a plan went, that this evacuation was to lead to extermination, that is something of which I never heard anything at all. When I asked I was always told that these measures were equivalent to the internment of enemy nationals in wartime for security reasons. Q. At that time were you ever given the name of a place where they were taken? A. The East was mentioned quite generally. I only heard one name. That was Theresienstadt. That was given to me as a place which had been evacuated by other inhabitants and made available for the settlement of German Jews. Q. Were you kept currently informed about what was happening to the Jews and what extent the extermination [Vernichtung] had assumed? A. From the very beginning I considered many atrocious actions possible, but my imagination did not suffice to picture what I actually learned after the collapse. Q. Didn’t you know of the plan of the so-called Final Solution [Endloesung], I mean the plan regarding the final extermination of all the Jews who were reported to the East? A. This plan was completely unknown to me. LT. COL. GRIFFITH-JONES: We will go on. Now, I just want to put one or two further articles of your own to you. You remember what I am suggesting, that you are inciting the German people to murder. We know now that at least you had read one article in the Israelitisches Wochenblatt where murder is mentioned. I just want to see what you go on to publish in your own paper after that date. Would you look at Page 47-A. This is an article by yourself on 6 January 1944. This is after you had been living on your estate for some time. What example was the German nation setting to the other nations of the world? What example do you mean there? STREICHER: This article corroborates what I have been saying all along. I spoke of an international solution of the Jewish question. 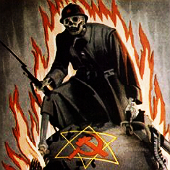 I was convinced that if Germany had won this war or had been victorious over Bolshevism, then the world would have agreed that an understanding should be reached with the other nations for an international solution of the Jewish question. If I wrote here about destruction, it is not to be understood as destruction by mass killing; as I have said, that is an expression; I have to point out that I do not believe that Erich Kauffmann really wanted to kill the German people by sterilization, but he wrote it, and we sometimes wrote in the same manner, echoing the sounds that we heard in the other camp. LT. COL. GRIFFITH-JONES: You have not yet told us what is this international solution that you are advocating by talking about extermination; if it is not murder, what is it? What is the solution? STREICHER: I have already said that I founded the Anti-Semitic Union, and through this Anti-Semitic Union we wanted to create movements among the nations which should, above and beyond governments, act in such a way that an international possibility would be created, such as has been represented today here in this Trial – thus I conceived it, to form an international congress center which would solve the Jewish question by the creation of a Jewish state and thereby destroy the power of the Jews within the nations. LT. COL. GRIFFITH-JONES: That is your answer – that you were advocating a Jewish state? Is that all that this comes to? Is it simply that you were advocating a Jewish national home? Is that what you have been talking about in all these extracts that we have read? Is that the solution which you are advocating? STREICHER: Well, I do not know what you want with that question. Of course, that is the solution. Are you still advocating a national Jewish home? STREICHER: Yes, that has nothing to do with the big political plan. If you take every statement by a writer, every statement from a daily newspaper, as an example, and want to prove a political aim by it, then you miss the point. You have to distinguish between a newspaper article and a great political aim. Streicher also said: "To this day I do not believe that 5 million were killed. I consider it technically impossible that that could have happened. I do not believe it. I have not received proof of that up until now." DR. EXNER: As we are just talking of the Jews, will you tell the Court what you knew about the extermination of Jews? I remind you that you are under oath. JODL: I know just how improbable these explanations sound, but very often the improbable is true and the probable untrue. I can only say, fully conscious of my responsibility, that I never heard, either by hint or by written or spoken word, of an extermination of Jews. On one single occasion I had doubts, and that was when Himmler spoke about the revolt in the Jewish Ghetto. I did not quite believe in this heroic fight; but Himmler immediately supplied photographs showing the concrete dugouts which had been built there, and he said, “Not only the Jews but also Polish Nationalists have taken refuge there and they are offering bitter resistance”. And with that he removed my suspicions. THE PRESIDENT: Are you speaking of Warsaw? JODL: I am speaking of the uprising in the Warsaw Ghetto of which I heard through a personal report from Himmler given in our presence, in the presence of soldiers at the Fuehrer’s headquarters. Himmler spoke only of an uprising and of bitter fighting. As far as the activities of the Police are concerned, of the so-called action groups, Einsatzgruppen and Einsatzkommandos – a conception, incidentally, of which I first heard here in detail – there was never any explanation through the Fuehrer himself other than that these police units were necessary to quell uprisings, rebellions, and partisan actions before they grew into a menace. This was not a task for the Armed Forces, but for the Police, and for that reason the Police had to enter the operational areas of the Army. I have never had any private information on the extermination of the Jews; and on my word, as sure as I am sitting here, I heard all these things for the first time after the end of the war. The thought of a physical annihilation of Slavs and Jews, that is to say, the actual murder of entire peoples, has never entered my mind and I most certainly did not advocate it in any way. I was of the opinion that the existing Jewish question would have to be solved by the creation of a minority right, by emigration, or by settling the Jews in a national territory over a ten-year period of time. The White Paper of the British Government of 24 July 1946 shows how historical developments can bring about measures which were never previously planned. ALEXANDROV: How about the mass extermination of thousands of innocent people, for instance, Jews in the Ghettoes of Warsaw and other cities. Did you hear about such things; did you hear about the gas vans? ROSENBERG: I have heard about them but I don't believe it. ALEXANDROV: But it is a fact. We have documents which prove that all this was done. We also have people that are still alive who witnessed these atrocities. There is no question but that these things are true. How do you feel about them? ROSENBERG: I would assume that in such a gigantic struggle there would be many victims but I still don't believe this part where you allege to prove that deliberate mass extermination was practiced in this manner. I did, of course, know that in connection with our struggle there were many executions. I did not know anything about mass extermination to the extent and in the manner as you say. I think that such orders for inhuman conduct in concentration camps could not ever have been given, [...] My personal opinion is that such inhuman things ought not and could not have been ordered. HINKEL: You knew it was Himmler's policy to exterminate the Jews, didn't you? ROSENBERG: In this shape or manner, I did not believe it until the end. HINKEL: You had been informed of that, had you not? ROSENBERG: No; I was not. HINKEL: Everybody else seems to have known it. Why didn't you know about it? ROSENBERG: I learned about it the first time by the radio which mentioned and cited speeches of Jews abroad. HINKEL: Didn't you receive the Hitler order, wherein Himmler was appointed the person in charge of Jewish affairs? ROSENBERG: No; I haven't seen it, but I have been told of it. HINKEL: And when were you told about it? HINKEL: You knew what Himmler's policy was towards the Jews? ROSENBERG: Well, those things must have become rather acute during the war because before the war such things didn't happen. Himmler only mentioned once that he had to drive away the Jews from Dusseldorf, and that they were in a camp where in about a fortnight they set up a cabaret. DR. HAENSEL: Do you know that the SS, as far as the Jews were concerned, followed secret aims and objectives, others than those that were published officially? ROSENBERG: That I learned here. DR. HAENSEL: You do not know that from your own knowledge? SIR DAVID MAXWELL-FYFE: You heard what I read to you about Hitler, what he said to Horthy and what Ribbentrop said, that the Jews must be exterminated or taken to concentration camps. Hitler said the Jews must either work or be shot. That was in April 1943. Do you still say that neither Hitler nor you knew of this policy to exterminate the Jews? GOERING: For the correctness of the document. SIR DAVID MAXWELL-FYFE: Will you please answer my question. Do you still say neither Hitler nor you knew of the policy to exterminate the Jews? GOERING: As far as Hitler is concerned, I have said I do not think so. As far as I am concerned, I have said that I did not know, even approximately, to what extent these things were taking place. SIR DAVID MAXWELL-FYFE: You did not know to what degree, but you knew there was a policy that aimed at the extermination of the Jews? GOERING: No, a policy of emigration, not liquidation of the Jews. I knew only that there had been isolated cases of such perpetrations. There is no more eloquent testimony to the tragedy and tyranny of Nuremberg than the pathetic astonishment or outraged disbelief of the accused persons themselves at the grotesque charges made against them. Such is reflected in the affidavit of S.S. Major-General Heinz Fanslau, who visited most of the German concentration camps during the last years of the war. Although a front line soldier of the Waffen S.S., Fanslau had taken a great interest in concentration camp conditions, and he was selected as a prime target by the Allies for the charge of conspiracy to annihilate the Jews. It was argued, on the basis of his many contacts, that he must have been fully involved. When it was first rumoured that he would be tried and convicted, hundreds of affidavits were produced on his behalf by camp inmates he had visited. When he read the full scope of the indictment against the concentration camp personnel in supplementary Nuremberg Trial No. 4 on May 6th, 1947, Fanslau declared in disbelief: "This cannot be possible, because I, too, would have had to know something about it." "I first heard about gas chambers after the end of the war," says Alois Brunner, the "most wanted Nazi war criminal" still at large. "When did you learn about the gassing of Jews?" [Austrian journalist Gerd] Honsik asked. Brunner's reply: "After the war, from the newspapers!" Brunner is "an innocent man," and those who believe that he is a mass murderer or criminal are "victims of a great Allied propaganda lie," Honsik insists. Gustav Franz Wagner (b. 1911) was reportedly deputy commandant at Sobibor. After the war Wagner migrated to Syria and later in the early 1950’s to Brazil , where he lived under his own name, working as a farmhand. After Simon Wiesenthal initiated a hunt for a man falsely identified as him, the real Wagner voluntarily handed himself over to the Brazil special police in São Paulo , on May 30, 1978. According to an article in the newspaper Folha de São Paulo, June 2, 1978, Wagner had stated to the police: “I never saw any gas chamber at Sobibor” ( Eu nunca vi nenhuma camara de gas em Sobibor). On June 22, 1979, the Rio Supreme Court dismissed all claims for Wagner’s extradition. On October 30, 1980, Wagner allegedly committed suicide by stabbing himself to death in the bathroom of his rural home. The circumstances of the suicide have been deemed suspicious even by some exterminationist writers. Brazil citizen and former Sobibor inmate Stanislaw Szmajzner, who “confronted” Wagner at the time of his arrest, has let out that he “believes” that Wagner was in fact killed by Jewish “avengers” (Die Zeit, October 11, 1991). The author is currently researching the Wagner case together with local Brazilian revisionists. Kurt Bolender (b. 1912) was another SS posted at Sobibor. When arrested in 1961, he initially denied killings at the camp. He is alleged to have committed suicide by hanging on October 21, 1966, just before his sentence was pronounced. According to the American magazine Time, Bolender left behind a suicide note stating that he was innocent. Alexander Laak, former commandant of the Jägala camp in Estonia where a large number of Jews were supposedly massacred, is alleged to have committed suicide by hanging in his garage in Winnipeg , Canada . A number of Laak’s subordinates had at the time been given harsh sentences at a Soviet show trial. According to an article in Der Tagespiegel September 8, 1960, Laak had declared the Soviet allegations against him to be “99% lies and Communist propaganda.” In Michael Elkin's book Forged in Fury (1971) it is claimed that a Jewish "avenger" named Arnie Berg travelled to Winnipeg to kill Laak, and that Laak hanged himself under Berg's supervision in order to not have his wife shot by Berg. Herbert Cukurs was a Latvian who allegedly participated in a massacre of 30,000 Jews in Riga . After the war Cukurs lived in São Paulo , where he later was “recognized” by two Jews and became a target of extreme harassment by the local Jewish community. In 1965 Cukurs was tricked to go to Uruguay , where he was brutally murdered with gun shots and hammer blows from unknown perpetrators. His dismembered remains were then sent back to his family in a box. According to the newspaper Folha de São Paulo, Cukurs had insisted to his family that he was innocent of the allegations. In the main camp was one crematorium with two ovens... During my time tie two or three crematoria were built at Berkenau. I know nothing about gas chambers, and no prisoner was gassed in my time. HERR PELCKMANN: The Prosecution is particularly accusing the Verfiigungstruppe for inciting racial hatred and for the persecution of the Jews as one of its special tasks. Was the troop trained for these purposes? HAUSER: The political and ideological training could only be achieved by schooling. I, personally, as director of the school and as an inspector, have closely watched this training, for I was a new man myself and had first to acquaint myself with these ways of thinking. I can testify that race hatred and the extermination of Jewry or of the Eastern peoples was never taught and was never demanded. HERR PELCKMANN: Is it correct that Heinrich Himmler in his speeches broke out into exorbitant invective against the Jews and the Slavs? HAUSER: I know only about the speech at Kharkov in 1943, in which he mentioned three points which called forth our criticism and opposition. I have already expressed myself on the one point, namely, the terror which was to precede us. His distasteful statements about the Jews referred to Germany only and did not indicate extermination in any way. Until his death in 1981, Speer steadfastly insisted that he did not know of any extermination program or gassings during the war. His position was remarkable because, if a wartime policy to exterminate the Jews had actually existed, almost no one would have been in a better position to have known about it. As Reich Armaments Minister, Speer was responsible for the continental mobilization of all available resources, including critically needed Jewish workers. That millions of Jews could have been transported across Europe and killed at a wartime industrial center as important as Auschwitz, and elsewhere, without Speer's knowledge simply defies belief. - Auschwitz Commandant Richard Baer was the only defendant who did not appear at the Frankfurt Auschwitz Trial in 1963. He was commandant of Auschwitz I from May 11, 1944 and Auschwitz II (Birkenau) from the end of 1944 until the evacuation in January 1945. He was arrested on December 21, 1960 and, though in perfect health, he died on June 1963 "in a highly mysterious way" (according to German newspaper 'Deutsche Wochenzeitung' July 27, 1973) while in prison before the trial had begun. This is of particular interest because a Paris newspaper (Rivarol) had recorded his insistence that "during the whole time in which he governed Auschwitz, he never saw any gas chambers nor believed that such things existed," and from this statement nothing would dissuade him. COL. TAYLOR: You think that you wrote the second part and not the first? VON MANSTEIN: I did not write the order at all myself. Very probably the order was shown to me in draft and then I signed it. If the first part mentions the fight against the system and the extermination of the system as well as the fight against the Jews as the supporters of the partisan movement, in the last analysis it had its proper justification. But all that has nothing to do with the fact that Jews were to be exterminated. They were to be excluded, and the system was to be removed. That is the point that matters. COL. TAYLOR: I think you told the Tribunal a few minutes ago that you did not even know that Jews were likely to be opposed to the new administration. It looks as if you very definitely wrote that for the attention of your soldiers, doesn’t it? VON MANSTEIN: No, I did not know that, and this order that Jews were to be exterminated cannot possibly recall it to my memory because it does not mention a word that the Jews were to be exterminated. It merely says that the system is to be exterminated. According to the Manstein trial verdict: "the defendant denied strongly to have participated in any gas van operations. He stated that he has never seen a gas van in his life and that he had not even heard of the existence of such vehicles at that time"
In the autumn of 1943, 195,000 persons are alleged to have been killed in mass executions and in gas vans in Kiev. For counter-evidence I refer to Affidavits 1116-a,* 1116-b, and 1116-c, which show that the Wehrmacht never possessed any gas vans. The Prosecution have also submitted Document Number 501-PS on the use of gas vans. I must point out that Amt III never issued instructions on the use of gas vans, as testified by the witness Dr Ehlich [vol. 42, p. 106]. Document 501-PS submitted by the Prosecution shows by its reference Number II that the matter of gas vans was dealt with in Amt II of the RSHA. The SS-Obersturmbannfuhrer Rauff mentioned in the document was not a member of Amter III and VI, but a group chief in Amt II of the RSHA. He was at that time in charge of motor transport. I refer in this connection to the testimony of the witnesses Ohlendorf and Hoeppner (Session of 3 January 1946) and to 60 affidavits from the entire Reich and the occupied territories for the period from 1941 to 1945, according to which the SD had nothing to do with the use of gas vans. - Erich Ehrlinger, from "The Gas Vans: A Critical Investigation"
Erich Ehrlinger, head of Einsatzkommando 1b in summer 1941, “persistently” denied having ordered or participated in wanton mass murder, though the court did not believe him, pp. 85f., 106. Initially sentenced to twelve years, a retrial never took place due to him allegedly being permanently unfit for trial. Ehrlinger died in 2004 at the age of 95. So much for his unfitness; cf. SMIRNOV: Then the Jewish ghettos were already empty. In that case, what happened to the Jews from Poland? BUEHLER: When these Jewish ghettos were emptied, I assumed they were resettled in the northeast of Europe. The chief of the RSHA had definitely told me at the conference in February 1942 that this was the intention. "My attitude towards the Jews is based on the expectation that they will disappear; they must go away. I have started negotiations for deporting them to the East. This question will be discussed at a large meeting in Berlin in January, to which I shall send State Secretary Dr. Buehler. This conference is to take place at the Reich Security Main Office in the office of SS Obergruppenfuehrer Heydrich. In any case Jewish emigration on a large scale will begin." I ask you now, did the Governor General send you to Berlin for that conference; and if so, what was the subject of the conference? BUEHLER: Yes, I was sent to the conference and the subject of the conference was the Jewish problem. I might say in advance that from the beginning Jewish questions in the Government General were considered as coming under the jurisdiction of the Higher SS and Police Leader and handled accordingly. The handling of Jewish matters by the state administration was supervised and merely tolerated by the Police. During the years 1940 and 1941 incredible numbers of people, mostly Jews, were brought into the Government General in spite of the objections and protests of the Governor General and his administration. This completely unexpected, unprepared for, and undesired bringing in of the Jewish population from other territories put the administration of the Government General in an extremely difficult position. Accommodating these masses, feeding them, and caring for their health-combating epidemics for instance-almost, or rather, definitely overtaxed the capacity of the territory. Particularly threatening was the spread of typhus, not only in the ghettos but also among the Polish population and the Germans in the Government General. It appeared as if that epidemic would spread even to the Reich and to the Eastern Front. At that moment Heydrich's invitation to the Governor General was received. The conference was originally supposed to take place in November 1941, but it was frequently postponed and it may have taken place in February 1942. Because of the special problems of the Government General I had asked Heydrich for a personal interview and he received me. On that occasion, among many other things, I described in particular the catastrophic conditions which had resulted from the arbitrary bringing of Jews into the Government General. He replied that for this very reason he had invited the Governor General to the conference. The Reichsfuehrer SS, so he said, had received an order from the Fuehrer to round up all the Jews of Europe and to settle them in the Northeast of Europe, in Russia. I asked him whether this meant that the further arrival of Jews in the Government General would cease, and whether the hundreds of thousands of Jews who had been brought into the Government General without the permission of the Governor General would be moved out again. Heydrich promised me both these things. Heydrich said furthermore that the Fuehrer had given an order that Theresienstadt, a town in the Protectorate, would become a reservation in which old and sick Jews, and weak Jews who could not stand the strains of resettlement, were to be accommodated in the future. This information left me definitely convinced that the resettlement of the Jews, if not for the sake of the Jews, then for the sake of the reputation and prestige of the German people, would be carried out in a humane fashion. The removal of the Jews from the Government General was subsequently carried out exclusively by the Police. I might add that Heydrich demanded, particularly for himself, his office, and its branches, the exclusive and uninterrupted competence and control in this matter. SMIRNOV: I ask you this: In 1944 when the machines of destruction were working at top speed at Auschwitz and Maidanek, what depots or warehouses existed for the storage of Jewish movable property besides those which stored the movable property of Jews executed in concentration camps? Do you know of any other warehouses and where they were located? BUEHLER: The Jews were deprived of their property on the spot. I have never assumed that Jewish property was to be found in concentration camps. I did not know anything at all about these camps. Where the Police took that movable property was not clear to me, but depots must have existed. SMIRNOV: I would draw your attention to the date-21 February 1944. At that time were there any Jews still alive in Poland, or were the Jewish ghettos already quite empty? BUEHLER: The Jewish ghettos were empty, but there were still some Jews; I know that because they were being used in one way or another in the armament industry. Jewish property could not have been removed from the territory, it must have been somewhere in the Government General, very probably near the ghettos or wherever else the evacuation of Jews took place. And this telegram, I repeat, does not concern stores which were in concentration camps; they were everywhere. Every place had property stored somewhere which originated from the resettlement of the Jews. The defense had no fair chance to defend German foreign policy. Our prepared application for the submission of evidence was not allowed... Without good cause being shown, half of the 300 documents which the defense prepared were not admitted. Witnesses and affidavits were only admitted after the prosecution had been heard; most of them were rejected... Correspondence between Hitler and Chamberlain, reports by ambassadors and diplomatic minutes, etc., were rejected. Only the prosecution, not the defense, had access to German and foreign archives. The prosecution only searched for incriminating documents and their use was biased. It knowingly concealed exonerating documents and withheld them from the defense. In a letter to his wife, written shortly before his execution, von Ribbentrop commented: "Everyone knows that the [guilty] verdict is utterly untenable, but I was once Adolf Hitler's Foreign Minister and politics demands that for this fact I shall be condemned." - Grand Admiral Karl Dönitz, who was named Hitler's successor and head of state in Hitler's last will and testament, also denied the claims of extermination. In his Spandau diaries (18 March 1948), Albert Speer wrote: " Doenitz; abruptly and aggressively says to me that the Nuremberg verdict made a mockery of all justice... I cannot deny that Doenitz; is partially right in his rejection of the Nuremberg verdicts." DR. FRITZ: [...] Herr Fritzsche, I should like to put two more general questions to you on this topic. During the last period of the war, did you not try to find out something about the final fate of the Jews? FRITZSCHE: Yes. I made the most of an opportunity to which I will refer briefly later on. I asked a colleague of Obergruppenfuehrer Glucks, in Oranienburg-Sachsenhausen, about the Jews. Briefly summarized, his answer was as follows: The Jews were under the special protection of the Reichsfuehrer-SS who wished to make a political deal with them. He looked upon them as a kind of hostages and he did not wish a single hair from their heads to be harmed. DR. FRITZ: Some of the Prosecution's witnesses have asserted during this Trial that the German public knew about these murders. Now I just want to ask you, as a journalist who worked in the National Socialist State, what was, as far as you know, the attitude of the broad mass of the German people to the Jews? Did the people know about the murder of the Jews? Please be brief. FRITZSCHE: [...] I, as a journalist who worked during that period, am firmly convinced that the German people were unaware of the mass murders of the Jews and assertions to that effect were considered rumors; and reports which reached the German people from outside were officially denied again and again. As these documents are not in my possession, I cannot quote from memory individual cases of denial; but one case I do remember with particular clearness. That was the moment when the Russians, after they recaptured Kharkov, started legal proceedings during which killing by gas was mentioned for the first time. I ran to Dr. Goebbels with these reports and asked him about the facts. He stated he would have the matter investigated and would discuss it with Himmler and with Hitler. The next day he sent me notice of denial. This denial was not made public; and the reason stated was that in German legal proceedings it is necessary to state in a much plainer manner matters that need clarification. However, Dr. Goebbels explicitly informed me that the gas vans mentioned in the Russian legal proceeding were pure invention and that there was no actual proof to support it. It was not without reason that the people who operated these vans were put under the ban of strictest secrecy. If the German people had learned of these mass murders, they would certainly no longer have supported Hitler. They would probably have sacrificed 5 million for a victory, but never would the German people have wished to bring about victory by the murder of 5 million people. DR. FRITZ: Now I shall turn to a different topic. You are accused by the Prosecution of having incited atrocities, and that the results of your propaganda covered every phase of the conspiracy, including abnormal and inhuman treatment and behavior. In this connection I shall, therefore, have to ask you about the whole question of concentration camps. Did you know that the concentration camps existed? FRITZSCHE: Yes, the fact of their creation was announced publicly, I believe in 1933; and the concentration camps were mentioned later in official communiques. DR. FRITZ: What was the purpose of these camps in your opinion at that time? FRITZSCHE: As far as I can recollect, the persons to be taken to these camps were those who could not be restrained from taking an active part against the new State. It was stated that the reason for the establishment of these camps was the abnormal internal political situation prevailing at that time: A weak center party and two strong extreme parties, one of which had now assumed power. Steps were taken to put matters on a proper legal basis. Only later was it mentioned that habitual criminals were also to be brought to the concentration camps to prevent them from reverting to crime. DR. FRITZ: Did you yourself visit concentration camps? FRITZSCHE: No, I have never been inside the compound of a concentration camp. However, during the winter of 1944-45 I was frequently in the administration building near the Oranienburg-Sachsenhausen camp. Apart from that, I spoke to prisoners as often as I was able to do so, if I happened to see them either on the march or at work. DR. FRITZ: With whom did you speak at Oranienburg? FRITZSCHE: With a colleague of Obergruppenfuehrer Glucks and twice also with him personally. They told me that the foreign reports regarding cruel treatment were false. They said that the treatment was not only humane but decidedly good, as after all, the prisoners were valuable laborers. I spoke at some length about the working hours, for at that time a rather silly decree had been issued about a general extension of working hours. The attitude taken by Glucks was very reasonable, namely, that longer working hours would not necessarily result in greater output. Therefore the working hours of 8 to 10 hours a day remained as before. He did not mention anything about extermination through overwork. That is something I heard about for the first time in Court. DR. FRITZ: And how about your questions which you put to the prisoners direct? FRITZSCHE: Well, first of all, there was always a guard present, and quite naturally the prisoners were suspicious; but eventually I always received positive replies to positive questions. Briefly, the gist of these replies was always the same, that they had been unjustly arrested. Their food was really better than in prison and I frequently heard this phrase: "Well, anyway we are not soldiers here." The weapons carried by the guards were only rifles or revolvers; I did not see any truncheons. DR. FRITZ: Did you not become more and more suspicious about these concentration camps, after listening to foreign radio reports? FRITZSCHE: Not for a long time, for the reasons which I gave yesterday. Reports from English members of Parliament regarding the Buchenwald case were first mentioned in April 1945. But this case is so very recent that for brevity's sake I do not need to describe particulars of the incidents that occurred in the Ministry of Propaganda. DR. FRITZ: How can you explain the fact that crimes and illtreatment of the worst kind undoubtedly took place in concentration camps? FRITZSCHE: I am on the horns of a frightful dilemma, since I heard the first reliable reports about these things here in prison. Only a part of these terrible conditions, which were found to exist, can be explained through the stoppage of traffic and communications at the end of the war. The rest is more than enough. Obviously, the decree for the secret murder of masses of people had brutalized to a terrible extent those people who were entrusted with the execution of this decree. I should like to refer briefly to the statements which I already made about the murders; that there were many rumors but those rumors were denied. Undoubtedly an iron ring of silence surrounded these terrible events and the only thing I observed in the course of my work, and which appears to me to be important, is that in the RSHA and some of its branches there must have existed groups who worked systematically with the view of concealing these atrocities by issuing reassuring statements and denials to the offices which represented the public. "In order to stop the epidemic, we were forced to cremate the bodies of the many people that died of the disease. That was the reason we had to build the crematoria, and now, because of this everybody wants to tighten the noose around our neck." "I have to admit that this happened, but I then punished the guilty." As a scientific man accustomed to reason in word and thought, Dr. Tesch pointed out that if humans were ever packed into any space as tightly as Dr. Bendel testified, they would promptly suffocate, making the use of poison gas quite superfluous. Yes, he still believed that Zyklon B was used only for fumigation. Responding to this, Draper asked: "Did you feel the SS were more reliable than the Allied [United Nations] authorities, as a matter of information?" Dr. Tesch answered with honesty and great perception (again according to the interpreter): "I cannot say because during the war I did not hear anything else. Today, I think that something might be true but probably there are exaggerations or misunderstandings." Draper replied: "Were you aware that the murder of the four million was partly arranged by the Reicharzt SS?" Dr. Tesch answered: "This is quite news to me. I have never thought of that." Dr. Tesch then proceeded to say that during his visit to the Sachsenhausen-Oranienburg concentration camp, the inmates in striped suits looked well-fed, healthy and "quite happy." He had heard Hitler say in a speech that a Jewish Zone was being set up in the eastern provinces, and he believed him. Further, he had no reason to believe that Hitler had lied to the Germans. He believed that Hitler and the SS had been perfectly correct in their behavior. He believed Sehm and Bendel to be incorrect in their testimony. Sehm. had probably misinterpreted an unimportant remark and invented the remainder; his testimony was "quite impossible." The thought of killing Jews with Zyklon B had never occurred to Dr. Tesch, who believed also that the other witnesses misunderstood something they saw or heard. the Wiesbaden Regional Court acquitted Gerhard Peters. He was the managing director of Degesch, the company that had supplied Zyklon B to the SS -- the chemical frequently used in the gas chambers. Peters' contact at the SS had testified that he had used the chemical for disinfection purposes only. The court concluded that Peters had been "unsuccessfully complicit." L.: What did the Huta Corporation build? S.: Among other things, crematoria II and III with the large morgues. L.: The prevalent opinion (considered to be self evident) is that these large morgues were allegedly gas chambers for mass killings. S.: Nothing of that sort could be deduced from the plans made available to us. The detailed plans and provisional invoices drawn up by us refer to these rooms as ordinary cellars. L.: Would it be conceivable that you were deceived and that the SS nevertheless had gas chambers built by your firm without your knowledge? S.: Anyone who is familiar with a construction site knows that is impossible. L.: Do you know any gas chambers? S.: Naturally. Everyone in the east knew about disinfestation chambers. We also built disinfestation chambers, but they looked quite different. We built such installations and knew what they looked like after the installation of the machinery. As a construction firm, we often had to make changes according to the devices to be installed. L.: When did you learn that your firm was supposed to have built gas chambers for industrial mass killing? S.: Only after the end of the war. L.: Weren’t you quite surprised about this? S.: Yes! After the war I contacted my former supervisor in Germany and asked him about it. L.: What did you learn? S.: He also only learned about this after the war, but he assured me that the Huta Corporation certainly did not build the cellars in question as gas chambers. L.: Would a building alteration be conceivable after the withdrawal of the Huta Corporation? S.: Conceivable, sure, but I would rule that out on the basis of time factors. After all, they would have needed construction firms again, the SS couldn’t do that on their own, even with inmates. Based on the technical requirements for the operation of a gas chamber, which only became known to me later, the building erected by us would have been entirely unsuitable for this purpose with regard to the necessary machinery and the practical operation. DR. FRITZ: Mr. President, Gentlemen of the Tribunal, I beg to be permitted to continue with the examination of the witness [Moritz] Von Schirmeister. Witness, yesterday, at the end of the session, we stopped at the point dealing with the anti-Semitism expressed by the Defendant Fritzsche in his radio speeches; in connection with that point, I have a further question. According to the statement made by Dr. Goebbels, to where were the Jews evacuated? VON SCHIRMEISTER: Up to the first year of the Russian campaign, Dr. Goebbels in the conferences over which he presided, repeatedly mentioned the Madagascar plan. Later he changed this and said that a new Jewish state was to be formed in the East, to which the Jews were to be taken. DR. FRITZ: Do you know whether, in dealing with reports from abroad concerning alleged German atrocities, not only towards the Jews but towards other peoples as well, Fritzsche always had inquiries made at the RSHA or other authorities concerned? VON SCHIRMEISTER: Yes. Not only with regard to atrocity reports but all propaganda reports from abroad which were embarrassing to us. He made inquiries sometimes at the office of Muller, at the RSHA in Berlin, and sometimes he inquired of the authorities that were directly concerned in these matters. DR. FRITZ: And what other agencies were concerned besides the RSHA where he might have made inquiries? VON SCHIRMEISTER: For example, the Ministry of Food and Agriculture, the Armament Ministry, the OKW; it all depended. DR. FRITZ: Do you know whether in reply to such inquiries a clear and completely plausible denial was given, or how was a matter of this sort handled? VON SCHIRMEISTER: There were not always denials, not at all; very frequently we had quite precise answers. For example, if it was asserted that there had been a strike in Bohemia-Moravia, then the answer was: Yes, in such and such a factory a strike took place. But always and without exception, there was a very definite denial of concentration camp atrocities and so forth. That is precisely why these denials were so widely believed. I must emphasize that this was our only possibility of getting information. These pieces of information were not intended for the public, but for the minister [Joseph Goebbels], and again and again the answer came: "No, there is no word of truth in this." Even today I do not know by what other means we could have obtained information. - Fritz Frenzel, Hermann Hagerhoff, and Walter Otto (Auschwitz camp guards) and Ernst Romeikat and Theodor Grewe (Auschwitz administration of inmate property) all stated that they had no personal knowledge of the alleged mass killings. Hermann Hagerhoff and Walter Otto, both interrogated on April 27, 1959, were both camp guards at Auschwitz. Both say that during the war they had no knowledge about gassings from their own experiences. While Hagerhoff stated to have learned about atrocities at Auschwitz only from post-war media items (pp. 1039f. ), Otto claimed that is was “generally known” that gassings were going on at Birkenau (p. 1047). Shortly before that, though, Otto mentions in passing that he had learned about atrocities at Auschwitz during an Allied tribunal staged in 1947 at Lüneburg where he had been present as a defendant (p. 1046). Hence it is likely that Otto’s “general knowledge” has its roots not in wartime experiences but rather in the time after the war. As we can see, "Why Didn't Any Nazi Deny the Holocaust?" is a textbook example of the "loaded question" fallacy - a question that contains a controversial or unjustified assumption. Some Nazis did, in fact, deny the Holocaust. A large number of Nazis who [publicly] accepted it as true claimed that they had only become aware of it after the war had already ended. Furthermore, the claim that hundreds of thousands of people would have had to be kept from spilling the beans is simply absurd, and is contradicted by the "Holocaust" story as defined in the Nuremberg Trials by the prosecution. Lastly, the trials took "judicial notice" of the "Holocaust -- meaning it was accepted as undeniable fact, one that could not be contested or deliberated by the defense. Forced Confessions - Why Innocent Defendants Admit their "Guilt"
Do we have evidence of torture to extract confessions?